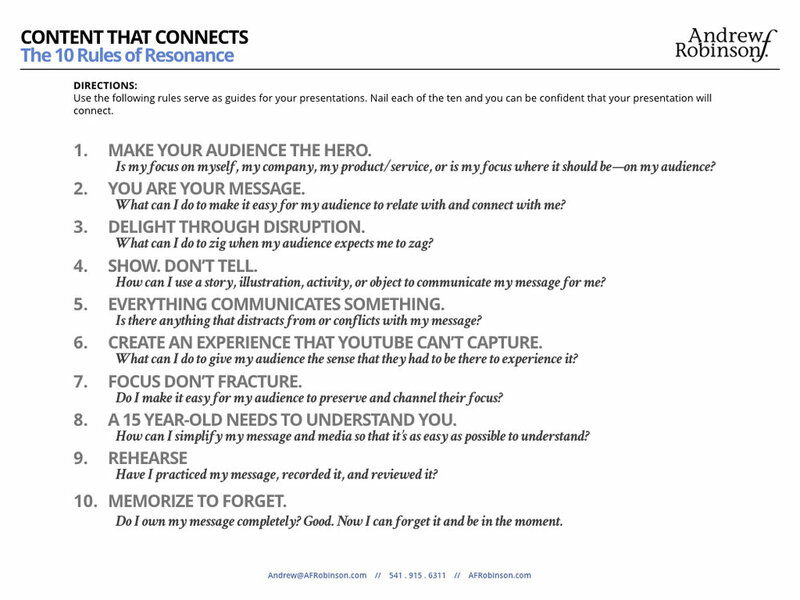 A recent project with a global apparel brand inspired me to update my "10 Rules of Resonance" for presentations. Click the image below to download as many copies as you'd like. I wrote these in chronological order, as opposed to order of importance. (They're all important.) These questions represent the chain of thoughts I go through when I'm preparing my own presentations or helping someone else. Good luck, and let me know if you have any questions or comments!